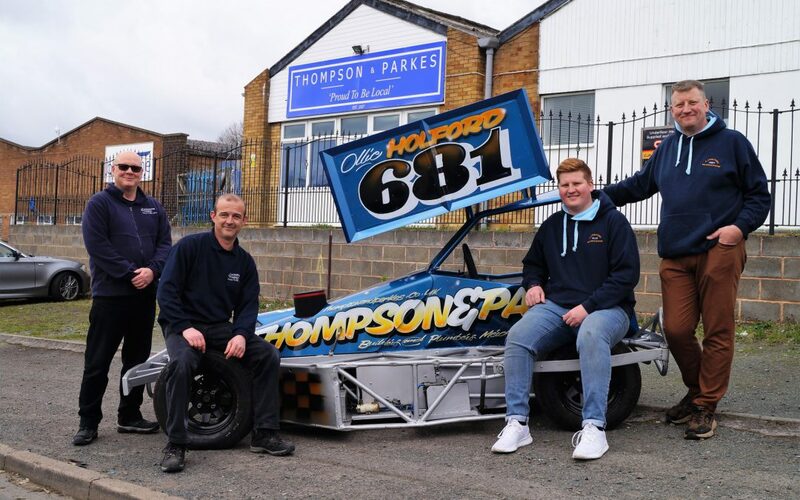 Up and coming stock car driver Ollie Holford is looking good thanks to securing a sponsorship deal from local building suppliers Thompson & Parkes. The racing season begins in earnest on the 31st March at the Grimley Oval Raceway and nineteen-year-old Ollie now not only looks the part but is eager to get behind the wheel of his freshly branded single-seat, two-litre engine F2-Outlaw stock car. As a long-established local company Thompson & Parkes is always keen to invest in and support the community, helping several local schools and nurseries with educational projects, so when this opportunity came up, they jumped at the chance.